Manufacturer & Exporter of Swirl Flash Dryers & Swirl Flash Dryer. 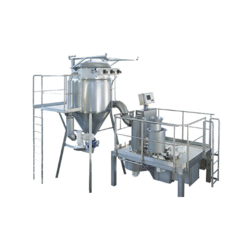 Our product range also comprises of Spray Drying Plants, Air Dispersion Dryer and Drying System Accessories. We offer a wide assortment of Swirl Flash Dryer that is used for drying. We offer Customized Swirl Flash Drying Systems with a variety of Configurations and are made as per the quality standards. Powders from an aqueous suspension.